It is costly to install fiber optic links for your technology than broadband internet over copper cable. Why then do people prefer the new technology over radio or satellite communication or other internet technologies? Do the benefits outweigh the cons? The answer is yes. 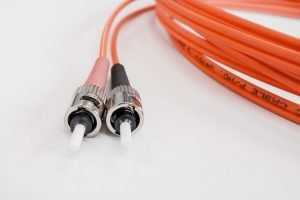 Fiber optic technology is a fast and reliable internet connection that is suitable for companies of all sizes. If your company uses cloud storage, video conferencing or Voice-over-IP telephony and other smart technologies, fiber will be a significant advantage for the business. The subsequent text will enlighten you on some of the benefits of fiber optic technology and why you should incorporate it into your business. Why Switch to Fiber Technology? Fiber optic links offer the fastest speed than any other Ethernet cable. The speed of fiber ranges from 5Mbps to 100Gbps, and tech innovators are continuously improving the speed. While using traditional forms of communication or broadband internet, when there is traffic the internet slows down. A slow internet connection will cost the productivity of the employees as they spend time waiting on slow internet. Internet connection should not be a liability, as such using fiber network will give you the fastest access to any material. High-quality voice for the VoIP users. Fiber technology uses glass to transport data packets in the form of light pulses. The construction and operation of the fiber networks make it very unlikely for it to disconnect. The fiber network is made of glass fibers that transport data packets in the form of light pulses. The systems are not susceptible to electromagnetic and radio interference or crosstalk like the copper-based technology. The attenuation of the signal is low, and the strength of the signal is not affected by buildings or terrain. The initial cost of fiber installation is quite high. However, it is less expensive in the long term. Fiber experience less downtime eliminating maintenance cost. Moreover, it is less costly to upgrade as it requires less networking hardware than DSL or Ethernet copper connection. Besides, the technology field is expanding reducing the cost. Fiber optic network is suitable for links that are more than 10km apart. The power of the signal does not degrade over distance unlike DSL or Ethernet over copper signal. The fiber network does not use repeaters or signal amplifiers to boost the signal strength. The technology is suitable for offices that are far apart; fiber network works as the backbone. The bandwidth for the fiber optic internet is not limited, but the bandwidth is high, and the speed is constant despite the demand. Indeed, fiber internet grants you fast access to any service than any connection. Fiber has symmetric speeds and thus your download, and upload speed will be faster. There is also minimal to zero latency; packets are transferred reliably over the network. An internet connection that provides symmetric speeds means there are equal upload and download speeds. The feature is beneficial as it reflects on the network capability. Employees will often upload huge files while receiving a phone call; the network thus makes simultaneous activities possible. Unlike other connections that can be tapped, fiber technology is impossible to penetrate. Once the cable is tapped, it will leak light causing the entire system to fail, and it will be easy to monitor.